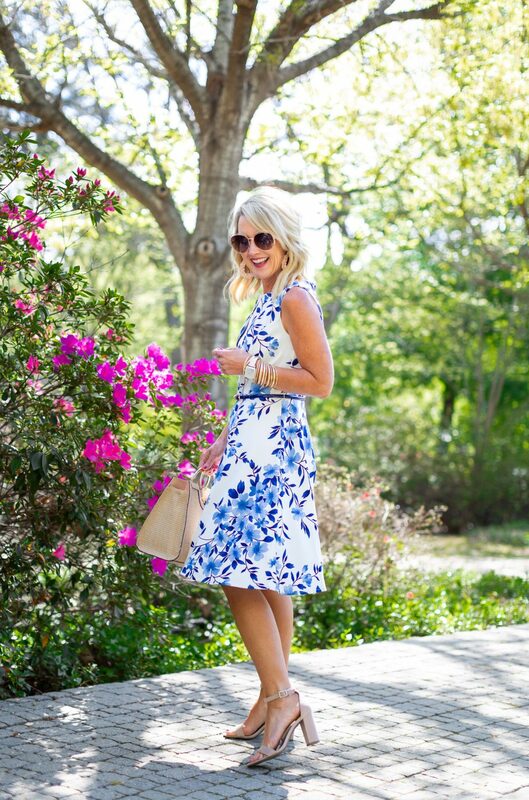 Spring Florals | 3 Gorgeous Dresses for Spring | hi Sugarplum! 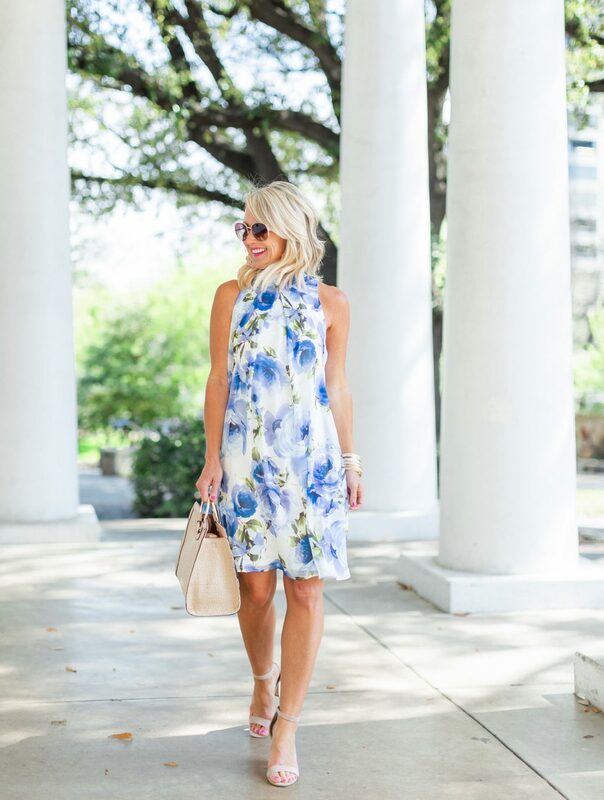 Spring is blooming all over Texas, and with it comes the season of dresses! 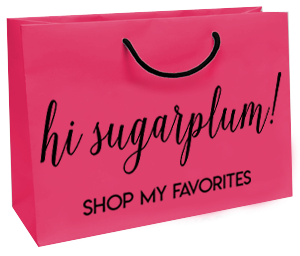 Dresses for graduations, baby showers, Easter, weddings, brunches…you get where I’m going with this! And since dresses are my jam, I’m totally here for you! I love any excuse to wear a dress, and often times wear one even without an occasion. 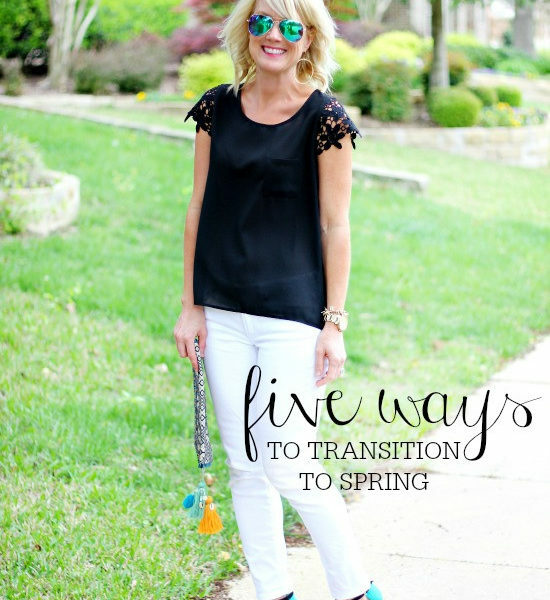 I love the flirty and feminine styles, plus they’re so flattering and easy. You really can’t beat the outfit ‘all-in-one’ that dresses offer. 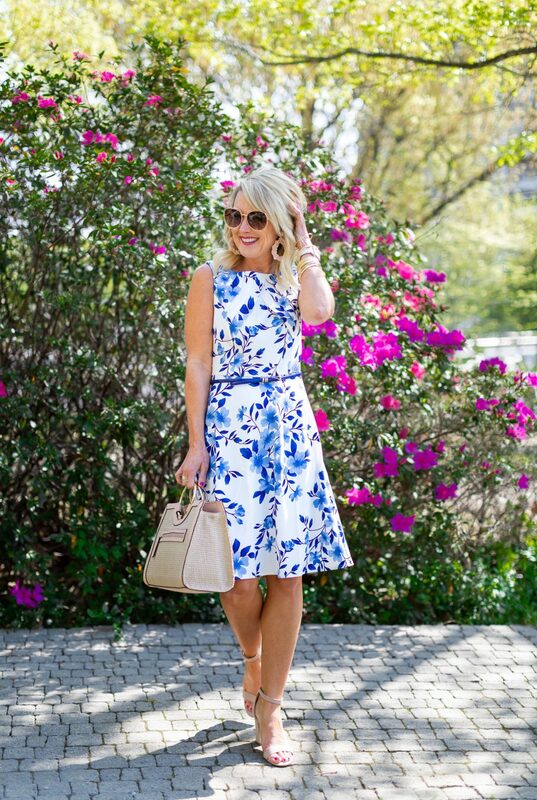 I’ve had so many requests for Spring style ideas for all these special occasions, and today I’m thrilled to share three gorgeous dresses I love…and all under $35! You read that right…thanks to code SALENOW3, you can score each of these for more than half off through today only! 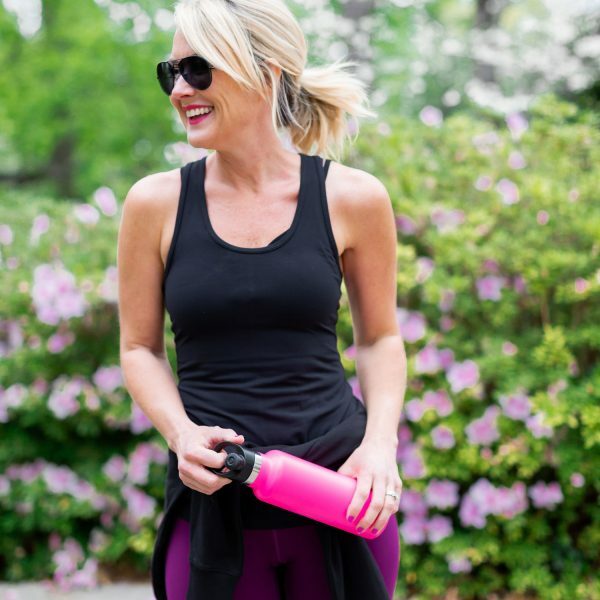 Let’s start with this floral fit-and-flare…made of soft but sturdy scuba material, it has beautiful swing and comfortable stretch. 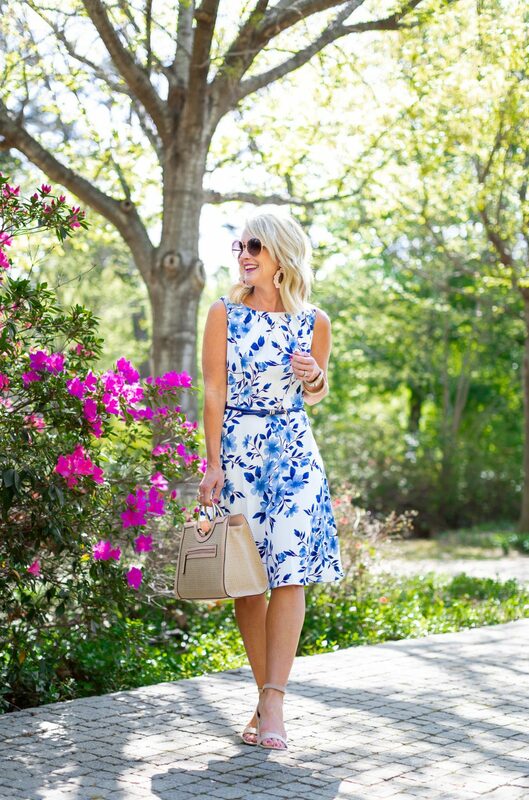 I love the way the floral seems to fall down the dress, and the skirt has a flirty fullness that’s not overwhelming. Fit Tip: I’m wearing a 4, but would prefer my usual 2, so I find it true to size. I love the cut-outs at the shoulder for a little extra style detail (but still bra-friendly), and the back features an exposed gold zipper. 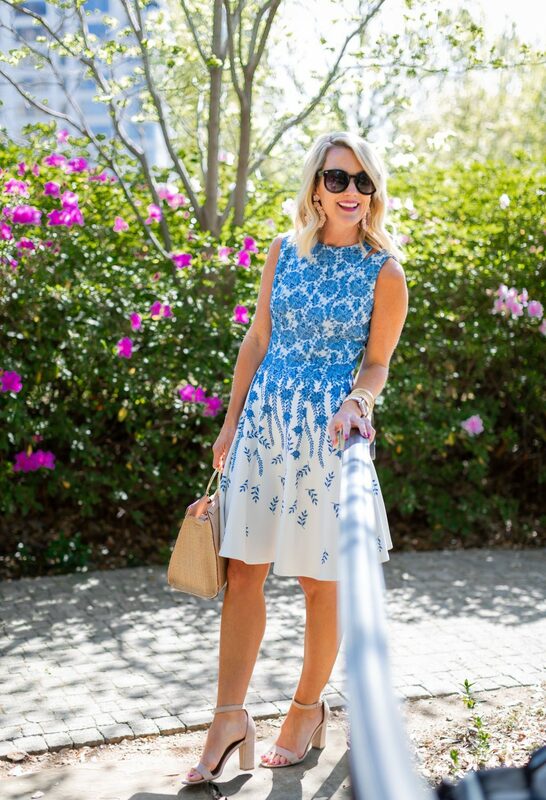 So many details making this dress look expensive and high-end…but surprise, it’s from JCPenney! I paired it with blush and gold accents for a soft touch, and to allow the floral to shine. 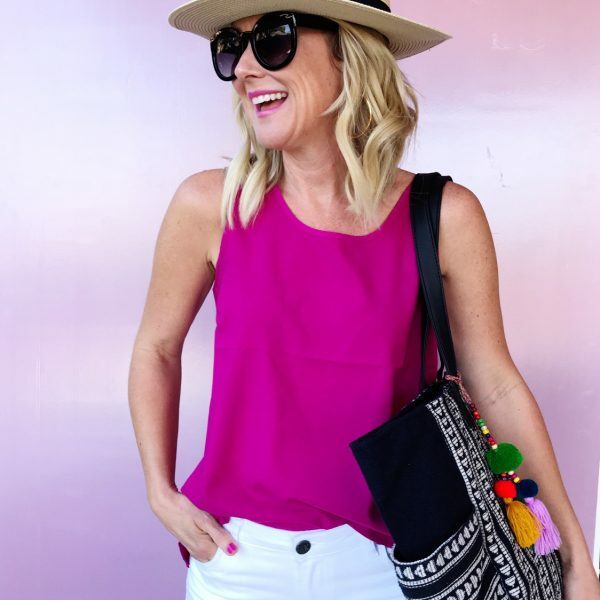 I’ve shared these sandals with you several times…you really can’t beat the style and price!! Plus, they’re comfortable and a great height for days that require a lot of standing and walking! Fit Tip: I find them true to size. 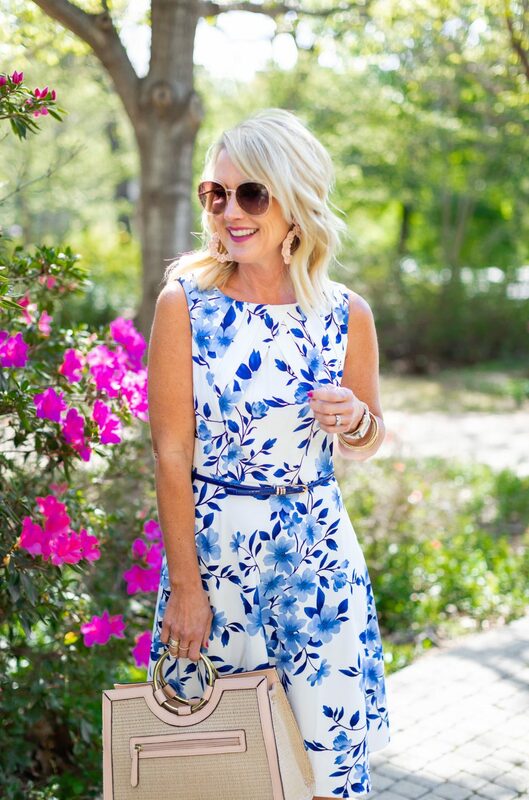 Moving on to Dress #2…another fun fit-and-flare (so universally flattering! 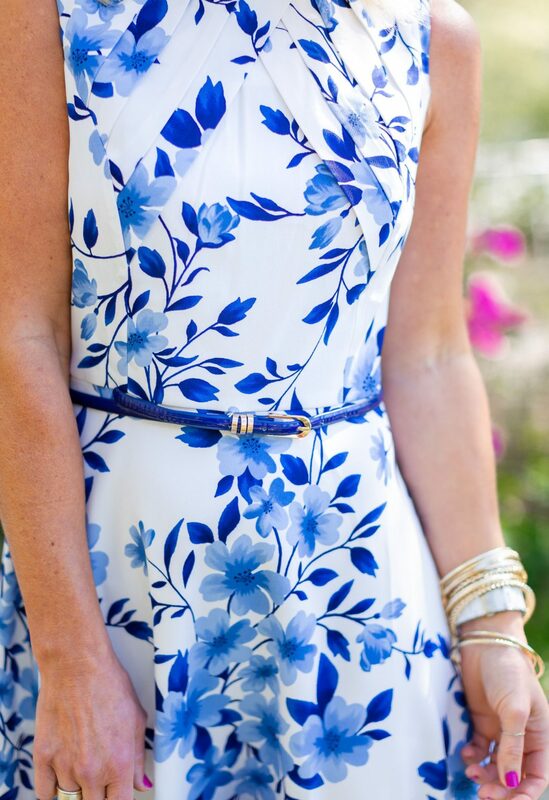 ), with a pretty blue floral. This style is a little more structured and classic, with a fitted body and belted, full skirt. Fit Tip: I’m wearing a 4, but again would prefer my usual 2. True to size. And finally, Dress #3 is probably favorite (if I had to choose! 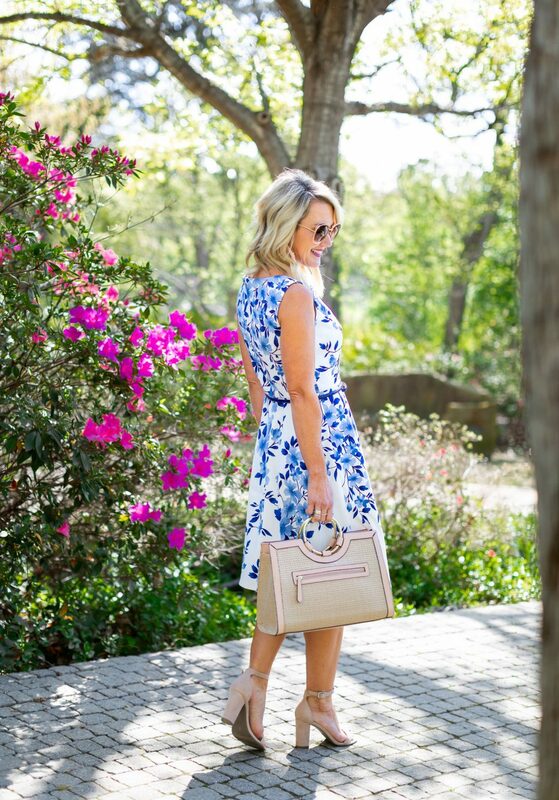 )…the floral swing style is so feminine and pretty, plus leaves room for all the celebratory cupcakes. Because Spring parties always include cupcakes! 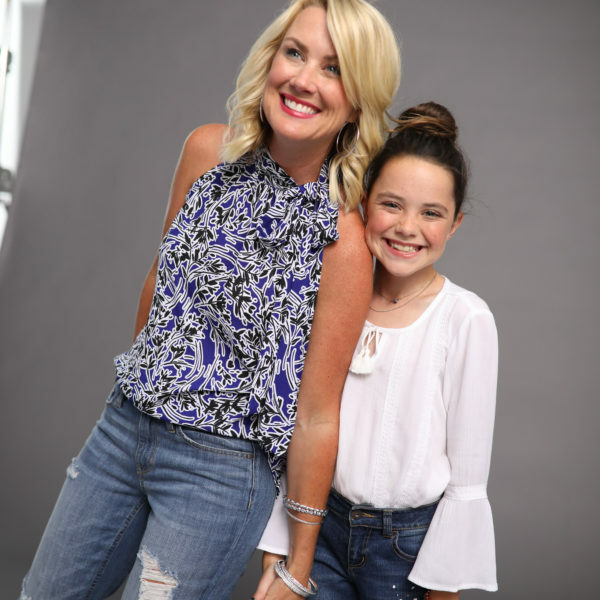 It’s fully-lined with a beautiful chiffon overlay that moves and flows, and an inverted pleat at the neck that gives it a little more movement. 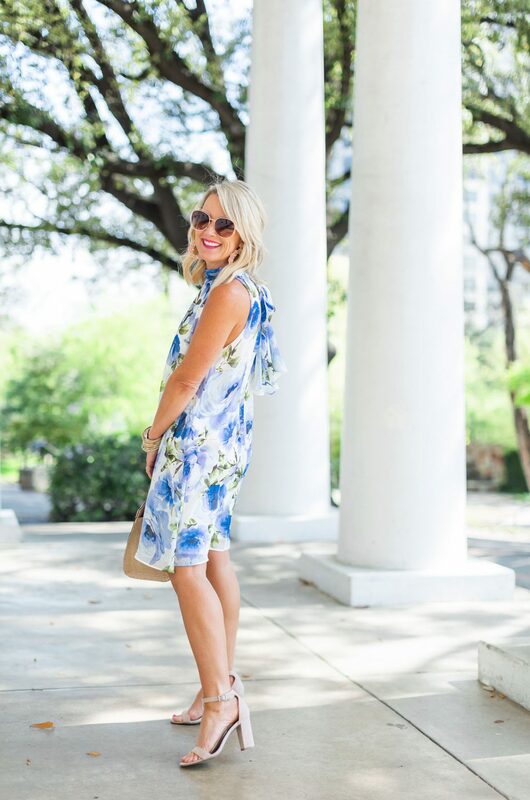 The halter neckline is so flattering for the shoulders, and the tie gives it a little more style from the back. Fit Tip: I’m wearing a 4, but would prefer my usual 2. True to size. 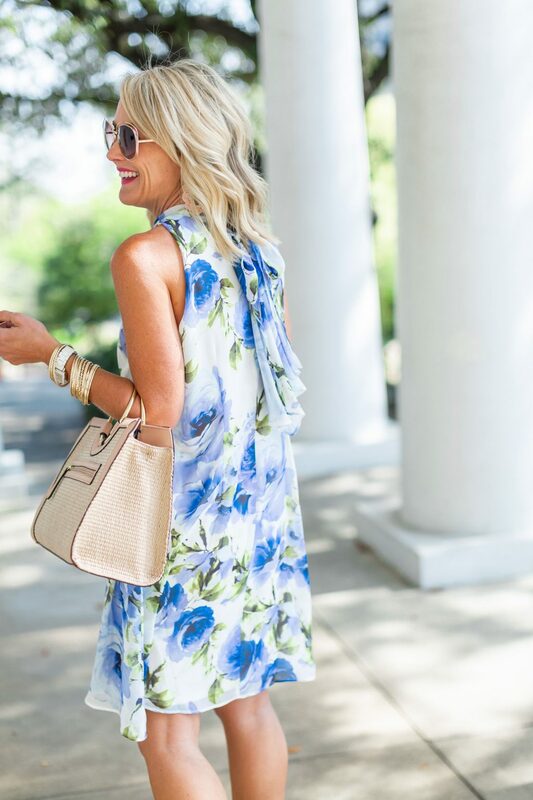 Can you believe each of these gorgeous floral dresses is under $40? 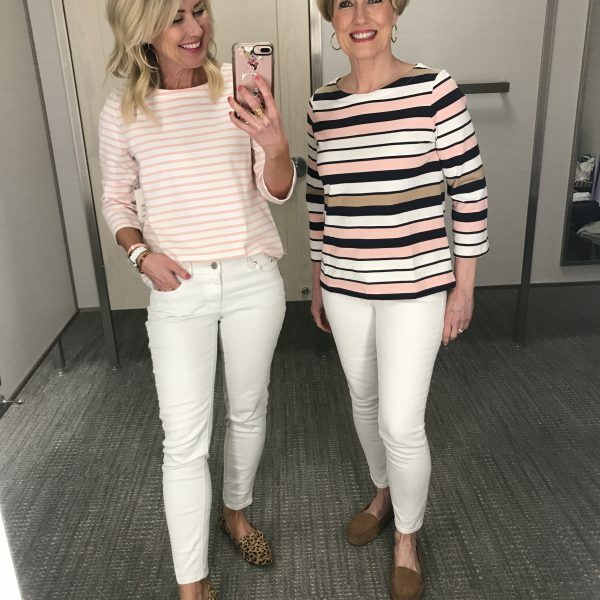 Well done, JCPenney! 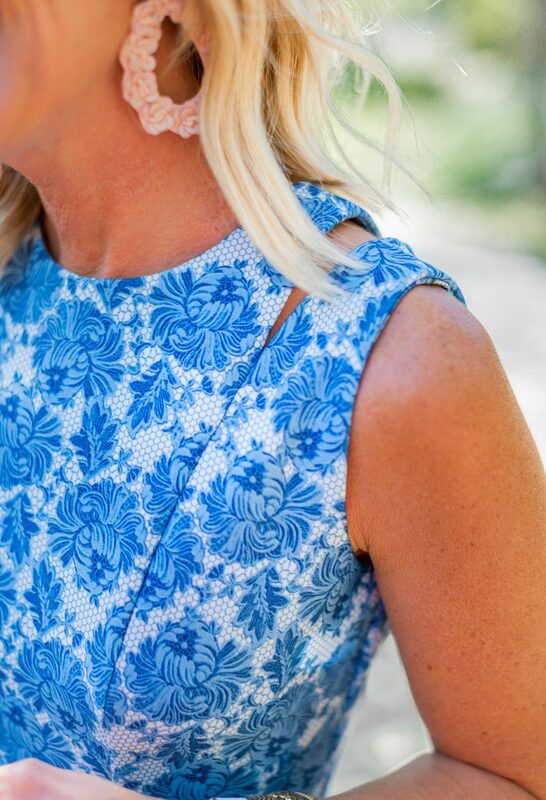 And obviously I’m having a moment with blue floral, but each is such a lovely print and flattering color. Which is your favorite? Have you started planning your Easter outfits yet? 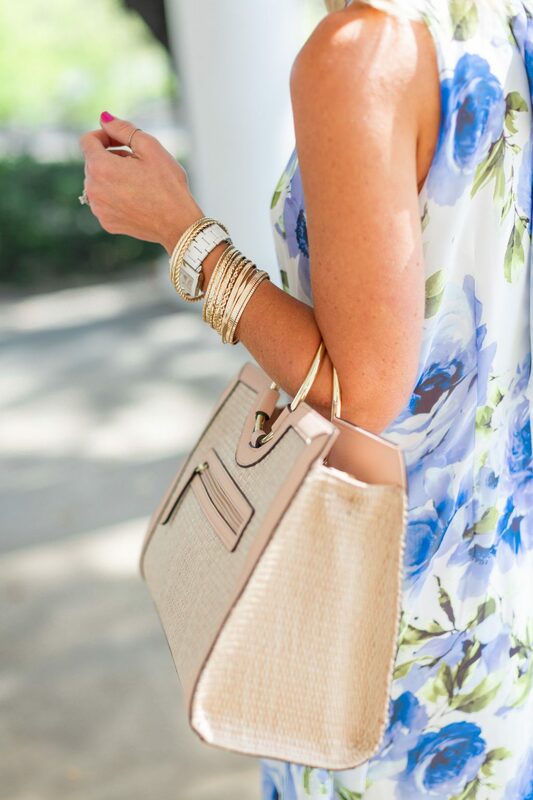 What other Spring occasions are you searching for style ideas? Let me know and I’ll get on it! 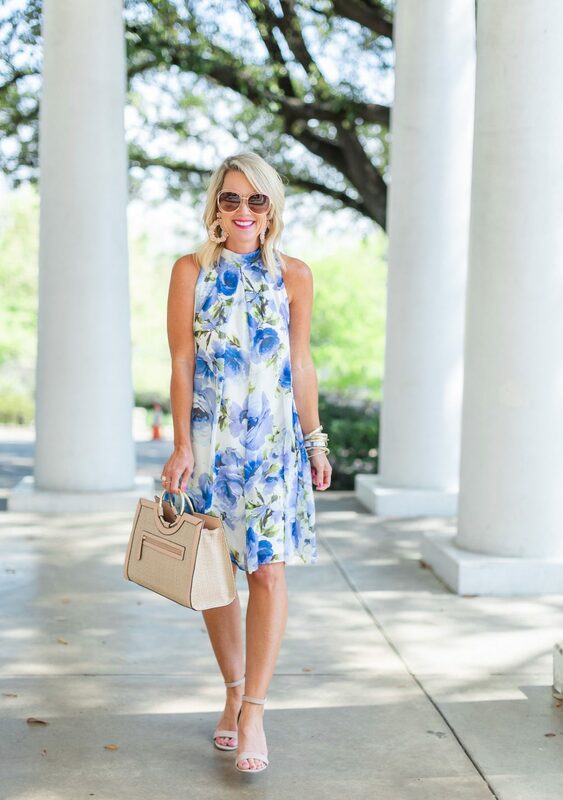 That floral swing dress! I want! Leave it to Cassie to always look great in a dress. 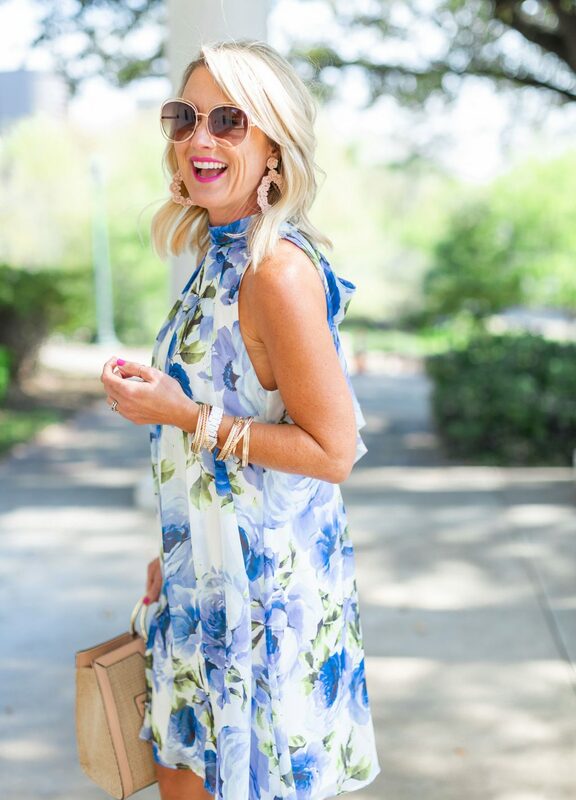 As always you look fabulous!….in your next round of summer dresses could you throw in a few with sleeves for those of us not excited to put ours ‘all out there’? I love love dress #1! 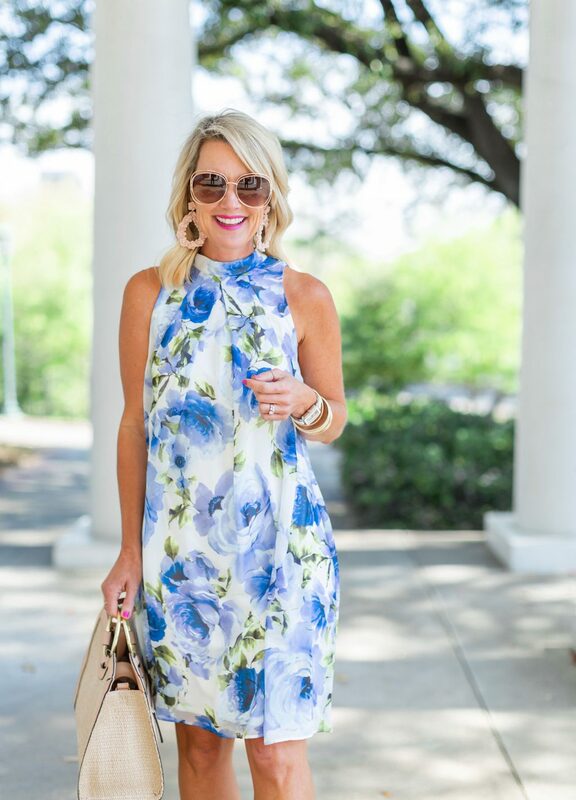 So cute and perfect for spring and Easter! I would have preferred the 2 in each, as well, but the 4 wasn’t much bigger, so it totally worked for me.